The KDOQI guidelines suggest that pre-dialysis HCO3 should be around 22 but what is the evidence for this? There are two major studies which can guide us. The first is the DOPPS study where the authors took 7000 patients dialysis patients and found that there was a U-shaped curve of RR of death. Those with a HCO3 of less than 17 and greater than 24 were at an increased risk of death. However, when adjusted for nutritional factors and co-morbidities, a high HCO3 was no longer independently associated with mortality while a HCO3 of less than 17 remained significant. In the second study the authors looked at 36000 dialysis patients and again found that a HCO3 of less than 17 was independently associated with mortalilty while the increased mortality seen in those with a HCO3 of greater than 24 could be entirely explained by nutritional status and co-morbidities. Despite all of these data, neither of these studies address the issue of whether correcting acidosis in these patients influences outcome. There are a few small randomized trials in hemodialysis patients which show some benefit but are too small to really answer this question. There have, of course, been a number of studies in patients with CKD demonstrating that correction of acidosis improves outcomes. Probably the best advice at this time is that if you come across a patient with a HCO3 of greater than 24, you should assess them for the presence of an acute acid base disorder and then assess their nutritional status. In a patient with an unusually low HCO3, ensure that delivery of HCO3 during dialysis is adequate (by measuring post-dialysis HCO3), determine if HCO3-wasting is present and then increase the HCO3 bath to maintain the HCO3 greater than 18. This is a great review on the subject published earlier this year. Here are some interesting points I picked up at an ASN review to reinforce Gearoids post discussing changes in reference values during pregnancy and Michael's board review post which covers a lot of the physiology also. Kidneys increase by 1-2cm in length and up to 30 - 70% in volume, due to an increase in both vascular and interstitial compartments. The collecting system becomes dilated, with up to 80% of women having evidence of hydronephrosis. The right side predominates, as the gravid uterus is more often dextro-rotated. This can predispose to the development of UTIs due to urinary stasis. Plasma volume steadily rises by 30-50 % up to around 32 weeks, causing a dilutional anaemia. Total body water can increase by 6-8 litres – most women have some clinically detectable edema. Cardiac output increases, initially via increased heart rate of 10-20%, followed later by an increase in stroke volume of >20% by week 8. This results in an overall increased cardiac output of 40-50% by week 24. However, systemic vascular resistance falls throughout pregnancy, leading overall to a decrease in mean arterial blood pressure of around 10mmHg by the second trimester. The net result is increased tissue perfusion – GFR increases by up to 50% by the middle of the second trimester, with corresponding decreases in serum creatinine of similar magnitude. 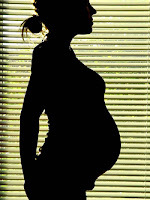 This is maintained until the mid-third trimester, after which it begins to decline towards pre-pregnancy levels. Despite increases in GFR, glomerular blood pressure appears to remain relatively protected by concomitant reductions in afferent and efferent arteriole resistance. Proteinuria – there is some debate if ‘normal’ amounts of proteinuria during pregnancy exist, or if any proteinuria should be seen as abnormal. Certainly, new proteinuria, progressively increasing proteinuria or levels over 0.3g/day should ring alarm bells. The presence of hypertension with any proteinuria mandates extremely close follow-up and blood pressure control. Return to normal protein excretion after pregnancy may take up to 5 months. Glucosuria – mild glucosuria can occur in the absence of hyperglycaemia due to increased filtered load and reduced tubular capacity for reabsorption. Acid-base – a mild chronic respiratory alkalosis usually exists due to normal hyperventilation in pregnancy, caused by progesterone-mediated stimulation of respiratory centres. Osmolality – a reduction in Posm of 5 - 10mOsm/Kg occurs. The osmotic threshold for AVP release and thirst are reduced (possibly by hCG), allowing maintenance of this new set-point. Note also, the placenta releases vasopressinase, necessitating an increased rate of AVP production. Overall, serum sodium can therefore fall by 4-5 mmol/L during pregnancy. I recently saw a patient in the emergency department with chronic lithium toxicity and took the opportunity to do some review. Clinically in acute overdoses nausea, vomiting and diarrhea are often present. EKG changes including QT prolongation, T wave flattening and ST depression can occur. Serious arrhythmias are unusual but can be present. Given enough time lithium penetrates the central nervous system and neurologic symptoms can develop. These include altered mental status, ataxia, agitation, coarse tremors, fasciculations and myoclonic jerks. Severe toxicity can result in seizures, nonconvulsive status epilepticus, and coma. In contrast to acute toxicity, chronic forms of toxicity often have a neurologic symptom as the presenting complaint as was the case in our patient. Patients on chronic lithium therapy are also at risk for several other potential long term toxicities as discussed previously on RFN. These include nephrogenic DI, hypercalcemia due to hyperparathyroidism, hyper and hypo thyroidism, non-gap metabolic acidosis, chronic tubulointerstitial nephropathy, glomerular lesions (minimal change and FSGS) and the Syndrome of Irreversible Lithium-Effectuated Neurotoxicity (SILENT). In terms of management in the ED: ABCs rule. When you get to circulation, initial volume resuscitation with normal saline is reasonable but regular monitoring of serum sodium is key as altered patients without ability to take in free water with underlying nephrogenic DI may become hypernatremic with a need for hypotonic fluid. In cases of acute toxicity with large ingestions or sustained release pills whole bowel irrigation with polyethylene glycol solution is recommended until rectal effluent is clear. Patient’s need to be to awake and cooperative for it to be used safely. The renal fellow’s pager often goes off as dialysis is an excellent way of removing lithium. With a low molecular weight and negligible protein binding lithium is easily removed from the blood as outlined by Nate. 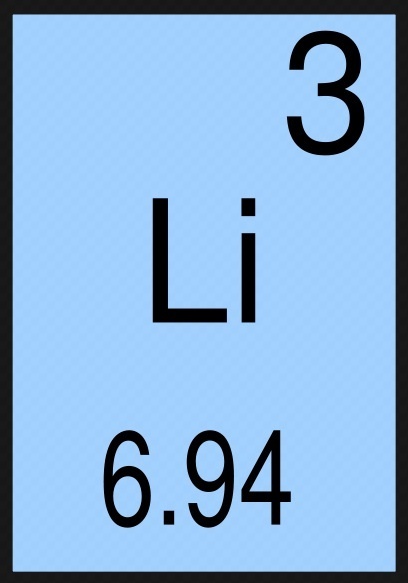 However, with a relatively large volume of distribution of 0.6-0.9 L/kg it often requires prolonged or repeated HD sessions to deplete Lithium stores. When to dialyze is a subject of expert opinion and case series but in general dialysis is recommended when serum levels are high regardless of symptoms and at lower lower levels when symptoms are severe or renal clearance is expected to be ineffective. I refer the reader to several excellent reviews and the Handbook of Dialysis. A pearl from one of my attendings: When in doubt, dialyze. The catheter can be in and out in a day and dialysis is usually very well tolerated. You don't want to see a patient end up with long term neurotoxicity after sitting on the fence and deciding against HD. As mentioned above, because Li has a relatively large volume of distribution and checking levels 4-6 hours after dialysis are recommended as “rebound” may occur as Li moves into the intravascular space potentially requiring further therapy. Another attending pearl: In severe cases particularly in patients with poor renal function, check a Li level on dialysis from the arterial port an hour before stopping so the lab has time to come back before you end HD. If you're patient still has a Li level >1 mEq/L extend the session as you're going to see some rebound and that intra-dialysis level is as good as you're going to get if native clearance is poor. Poor phosphate control, or is it? One of the commonest calls that one gets as a renal fellow in the dialysis unit concerns poor flows from catheters. This is often related to catheter-related thrombus formation and there are a number of different strategies employed to treat this complication and to prevent recurrence. In recent years, the use of alteplase to improve blood flows has become commonplace. In some patients who need repeated doses of alteplase to maintain catheter patency, locking the catheters with alteplase after dialysis has been shown to be effective in preventing thrombosis. Recently, however, an interesting side-effect of alteplase use in this setting has been reported. An 83-year-old woman with ESRD was having occasional trouble with her dialysis catheter and had intermittently required alteplase-locking. She had been on a stable dose of PO4 binders and her PO4 was very well controlled. However, at one of her visits, her PO4 was noted to be 10.1 (previously 3.5-5) with no change in her diet and the following month it was 35.7mg/dl. Her labs were taken in the usual fashion, after discarding this first 5mls from the catheter. It was postulated that the alteplase might be interfering with the assay for PO4. In order to confirm this, the authors withdrew 4 samples in 2ml increments from a catheter that had been locked with alteplase during the previous dialysis session. The PO4 concentration in the 4 samples was 161.5, 9.56, 6.47 and 5.68 mg/dl respectively. They then reviewed the records of a patient who had intermittent problems with hyperphosphatemia over the previous year. His mean PO4 level on days on which the catheter was not locked with alteplase was 6mg/dl compared to 9mg/dl on days with alteplase. In retrospect, his PO4 binders were increased inappropriately at least once in response to a spurious test. So why did this happen? It turns out that the makers of alteplase use phosphoric acid for pH adjustment during the manufacturing process. Although the quantity is very small, it is enough to contaminate a draw from the catheter if it is not adequately removed beforehand. Spurious hyperphosphatemia has also been described in samples contaminated with heparin. If ANCA cause vasculitis, what causes ANCA? Over the past decade, controversy about whether ANCA is itself directly pathogenic has largely abated, primarily based on convincing animal models of small vessel vasculitis in mice and rats mediated by MPO ANCA. But as this issue is laid to rest, a new burning question has emerged in the field: if ANCA cause disease, what causes ANCA? Specifically, why are the ANCA antigens PR3 and MPO turned on in the neutrophils of ANCA patients, and not in their normally silenced state (as in healthy controls). This question hints at the regulation of gene expression itself, and brings us to the rapidly expanding field of epigenetics. Epigenetics, the study of changes in phenotype and/or gene expression that are independent of the underlying DNA sequence, is one of the hottest areas of basic science research at the moment. Recently, the Jennette and Falk group in Chapel Hill examined whether high expression of the major auto antigens in ANCA patients, MPO and PR3, might have an epigenetic basis. The reason this is a good bet is that, although mature neutrophils from healthy subjects do not express MPO and PR3, these proteins are expressed in developing neutrophils. This suggests that there is transcriptional silencing of MPO and PR3 during development, which is the hallmark of epigenetic control. They showed that levels of a specific histone methylation (H3K27me3) were reduced at the MPO and PR3 loci in ANCA neutrophils compared to those from healthy controls. H3K27me3 is associated with the formation of heterochromatin, which is inaccessible to transcription and often causes gene silencing. They went on to show that Jmjd3, the demethylase responsible for removing this particular histone methylation is upregulated in ANCA patients. This suggests that Jmjd3-mediated changes in histone methylation status may be responsible for aberrant expression of MPO and PR3 in mature ANCA neutrophils. This study throws up a number of areas for further research. For example, elucidation of what causes the initial failure of gene silencing mechanisms will give further insight into the pathogenesis of the disease, whilst insight into the pathways which both establish and maintain silence of MPO and PR3 in healthy patients may suggest new therapeutic approaches. Several of the contributors and editors are heading to Denver for ASN Renal Week 2010. If you are going let us know. We would love to talk. Catch us at the NKF booth (#1617) where you can surf the site. See you there. 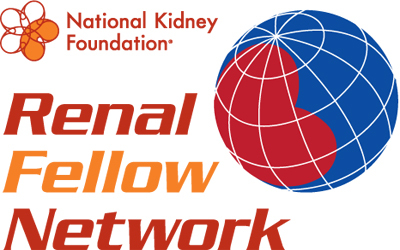 The editors and contributors of Renal Fellow Network (RFN) are proud to announce the partnership with the National Kidney Foundation (NKF). You will notice a few changes which we hope will help enhance the site. First, we have a new logo. This logo reflects the global vision we hope to create - a place where Nephrology fellows from around the world can meet and discuss issues relevant to Nephrology patient care, research and education. Secondly, we will add informational content relevant to conferences, grants and fellowships. We are delighted to team up with NKF, and believe this is an exciting opportunity for both parties. This collaboration serves to help sustain the site for future Nephrology fellows, by creating an editorial board composed of Nephrology fellows whose mission will be to keep the integrity and mission of the site intact. The NKF does not provide monetary support to RFN. From our perspective, we hope the collaboration will further raise the profile of the site, allowing us to reach an even wider audience. Our ultimate goal is to provide an integrated hub for all Nephrology practitioners, providing useful and up to date clinical and research information, permitting discourse on topics of clinical or career interest, and serving a go-to source for information on grants, fellowships and other information relevant to Nephrologists, whatever the stage of their careers. If you are interested in becoming a contributor please contact either the editor or deputy editor. Also, if you have suggestions for ways we can improve or develop RFN, please get in contact! The Renin-Angiotensin system is a major mediator of progressive renal injury In CKD and drugs that target the RAS have been shown to slow the progression of glomerulosclerosis, tubulointerstitial fibrosis and proteinuria. However, the effects of even maximal doses of ACEi/ARB are limited, in part due to the compensatory rise in renin levels due to the disruption of feedback inhibition. Last, week, the Lancet published the results of the VITAL study which was designed to see whether treatment with paricalcitol added to RAS-blockade could reduce albuminuria in patients with diabetic nephropathy. 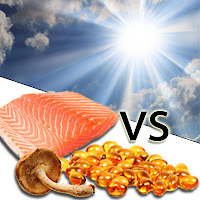 So, why Vit D? Vit D is a negative endocrine regulator of the RAS. Mice lacking the vitamin D receptor constitutively express high levels of renin and angiotensin and develop more severe glomerulosclerosis than wild-type mice in an animal model of diabetes. Vit D therapy has been shown to decrease inflammation, expression of renin mRNA and reduce fibrosis in mouse models. In observational studies in humans, low Vit D levels have been associated with increased systolic BP, a higher risk for cardiovascular disease and increased proteinuria in CKD. A number of small studies have suggested that treatment with activated Vit D can reduce blood pressure and proteinuria. In this study, the authors took 281 patients with diabetic nephropathy who were on a stable dose of ACEi/ARB and treated them for 24 weeks with control, 1mcg paricalcitol or 2mcg paricalcitol. 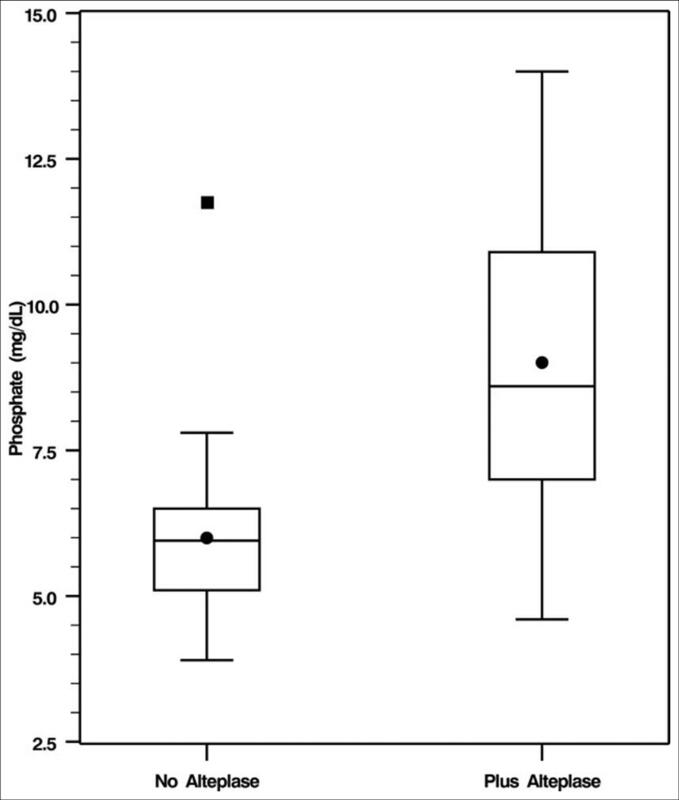 The primary endpoint was mean change in UACR over the length of the study and the secondary endpoints were mean change in 24hr albumin excretion and the percentage of patients achieving a 15% decrease in albuminuria. At the end of the study, there was a significant fall in 24h albumin excretion in the 2mcg group but not in the 1mcg group. There was also a decrease in mean UACR in the 2mcg group but this did not quite reach significance. Interestingly, when the patients were stratified by 24h Na excretion, only those with a Na excretion of >178mmol/day had a significant fall in albuminuria. eGFR also decreased in the 2mcg group relative to controls. eGFR, albuminuria and BP returned to baseline within a few weeks of stopping the study drug. The authors concluded that paricalcitol at 2mcg daily reduced albuminuria in patients with T2DM and was well tolerated. However, I’m not so sure about this. There were 3 deaths in the 2mcg group vs. none in the other two groups although none were attributed to the study drug. 15 patients on the study drug (11 on 2mcg) had to withdraw due to adverse events against 2 in the placebo group. Finally, only 58% of patients on 2mcg managed to stay on this dose throughout. 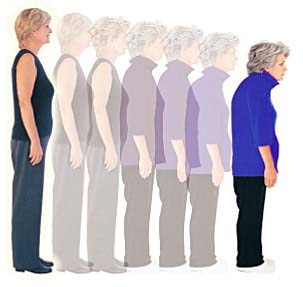 The rest had to reduce the dose to 3 times weekly because of hypoparathyroidism. There was no breakdown at the end as to whether the patients on a reduced dose had less or more protein and the results were not stratified by baseline Vit D levels so it is difficult to know from this study if these patients in particular would benefit from Vit D therapy. 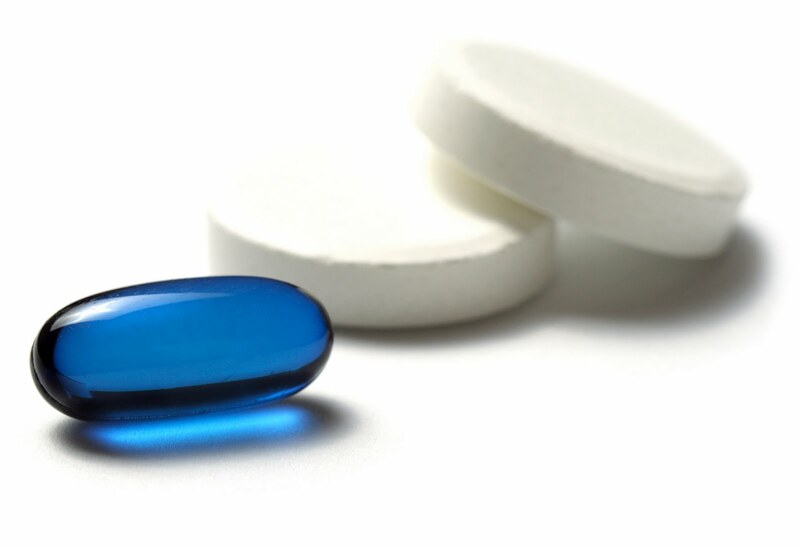 Overall, this is an interesting study that suggests that Vit D might be a potential addition to the drugs we use to treat diabetic nephropathy but I can’t say that I would change my practice yet based on this study alone. Tacrolimus in refractory lupus nephritis? One of my patients has recently presented a treatment conundrum. She is a young woman with lupus that has required chronic low-dose steroids and mycofenolate mofetil at maximum dose to prevent relapse, a regimen she has been taking for the past two years. She was referred to us last year after developing increasing proteinuria (now at about 3 g/d), and after developing an active sediment with hematuria and occasional granular casts this fall, she was biopsied. The pathology showed chronic-appearing membranous nephropathy with more recent focal proliferative changes. Her creatinine has remained in the normal range, but her proteinuria has gradually increased. She has not been able tolerate an ACE inhibitor due to symptomatic low blood pressure. Because she is of childbearing age, we would prefer to avoid cyclophosphamide therapy; but we have struggled to decide on an alternative regimen that is effective and safe. 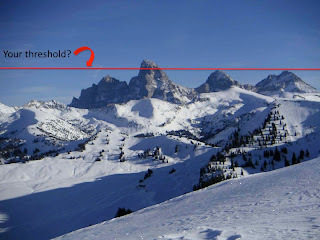 Rituximab is one possibility, which was discussed comprehensively by Jeremy Duffield in a post from August of this year. The other choice we have been weighing is adding tacrolimus to her regimen. There is some evidence that tacrolimus in addition to MMF and prednisone may improve clinical response. Bao et al performed a randomized trial of prednisone + MMF + tacrolimus versus cyclophosphamide alone as treatment for class IV + V lupus, in which a majority of patients had been previously treated with cyclophosphamide or MMF. In an intention-to-treat analysis, the multi-agent therapy was superior to cyclophosphamide at achieving complete remission at 6 and 9 months. More recently, Cortes-Hernandes et al administered tacrolimus .075 mg/kg/d in addition to MMF in 17 patients with biopsy-proven class IV or V lupus who either responded, then relapsed on induction therapy with prednisone + MMF during 65 months of follow-up, or failed to respond at all to treatment. Twelve of seventeen had achieved either a partial or complete response to tacrolimus therapy at two years’ followup. Neither one of these trials fits our patient’s clinical scenario of class III nephritis developing while on steroids and MMF, but they do give reason to hope that treatment with tacrolimus might be efficacious. So it seems we are staring down rituximab or tacrolimus as possible next agents—any alternative suggestions or advice welcome. Hyperkalemia can be a life-threatening condition. Nonetheless, in transplant recipients with delayed graft function, there is a tendency to try to avoid dialysis early after transplant. The reason behind this approach is that a session of hemodialysis further delays the recovery from ATN/ischemia and significantly drops urine output afterwards (indirect evidence - no randomized trials available). This is potentially related to hemodynamic changes associated with the dialytic procedure, even in the absence of volume removal (osmotic shift). So what are your options if you have a patient with a potassium of 6 about 72 hours after transplantation with low urine output? First option, if he doesn’t have ECG changes, is to try a loop diuretic at a high dose to see if he can respond to that and produce some kaliuresis. If he doesn’t respond and has had a bowel movement since surgery, I would do a trial of sodium polystyrene sulfonate binding resins (e.g.Kayexalate). Now, it gets into a little controversial territory. Last year, Sterns et al. in an editorial on JASN concluded that the use of SPS resins is largely unproven and potentially harmful, and should be considered only as a last resource. That was quite shocking to me since I have used it many times and I always saw a decrease of serum potassium levels. I do acknowledge the increased risk of colonic necrosis that has been reported with sorbitol commonly added to Kayexalate to increased bowel movements, but I was prescribing only mixed with water and other than the low palatability of the solution, no major side effects were seen. Actually, after reviewing the literature, the most common side effects reported are nausea, vomiting and constipation. I was able to download the first trial using SPS resins published in the NEJM in 1961! 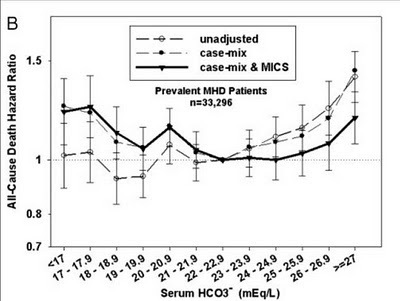 Small number of patients (n=22) but the results looked quite impressive, since a median dose of 40g was able to decrease the potassium level by 1mEq/L and additional doses led to further decrease in levels (median decrease of 1.8mEq/L). It is important to know that the peak effect of SPS takes about 4-6 hours, so if ECG changes are present, you will need to use IV calcium for membrane protection and albuterol/insulin+dextrose for transient K+ shift to the intracellular. The majority of reported complications were associated with SPS/70% sorbitol enema. This combination should be avoided, especially in patients with compromised GI function (e.g. ileus post-op). As an alternative, lactulose could be used to stimulate the GI tract. Finally, Kayexalate releases sodium ions after uptake of potassium, so there is a potential side effect of edema due to sodium retention (not significant in 1-2 doses). Is there a way to estimate how much resin you will require? Efficiency of a resin is dependent on several factors, including intrinsic properties of the resin (capacity and ion selectivity), [K+] and [Na+] extracellular concentrations and colonic transit time. In general, a decrease in 0.5mEq/l [K+} would require at least 30g of Kayexalate. Going back to our patient: After a diuretic trial, I would recommend two doses of 30g of Kayexalate mixed with water PO with repeat labs in 8-12 hours. Caveat, if the patient has no urine output or have other potential indications for dialysis (e.g.volume), you should just buy the bullet and dialyse him. Have you ever been consulted to dialyze for a high BUN. Or have you ever been asked to comment on the high BUN’s effects on bleeding and platelet function. Here’s an interesting case report I came across in JASN that suggests that it’s not the urea alone that causes the problems. Familial azotaemia is a rare autosomal dominant condition, first described in 1978, resulting from an impairment in urinary excretion of urea. The actual molecular defect is unclear at present. The index case in this review is a 29-year-old woman, who has a 2-year-old male child and 34-year-old brother that appear to be affected. All are characterized by having urea clearances less than 5ml/min. The two adult patients are of short stature (approx 150cm each). 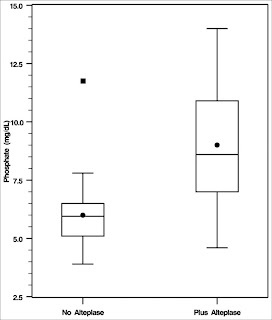 All pedigree members had measured creatinine clearances in the 80-90ml/min range, normal haemoglobin values and unremarkable chemistries other than a high BUN of 100-120mg/dL in the adults and 70mg/dL in the child. Bleeding times in the two adults were normal. The index case and her child both had further platelet function tests, including measurement of clotting times in response to ADH and epinephrine, which were all normal. In unpublished data from the child, they state that aggregation tests in response to collagen and arachidonic acid were irreversible, indicative of normal platelet function also. 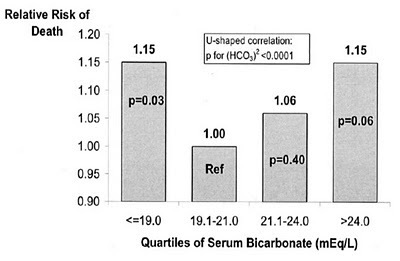 This analysis certainly suggests that an isolated high urea per se is not a cause of platelet dysfunction. In renal failure perhaps it is other ‘uraemic toxins' that cause the problems. Perhaps a high urea acts in concert with build-up of these other molecules. Further research will obviously be required to determine this. In summary, there are huge deficiencies in our understanding of other toxins that accumulate in acute and chronic low clearance states, and the role they play in the symptoms, signs and pathophysiology of what we call ‘uraemia’. But, the urea/BUN on it’s own? Probably not. Elevations in serum calcium, phosphorous and PTH have all been associated with increased morbidity and mortality in observational studies of ESRD patients. A variety of agents are available to control these serum parameters including phosphorous binders, intravenous vitamin D and calcimemetics. None unfortunately, have been shown in randomized prospective fashion to impact mortality. Cinacalcet, a calcimimetic works by increasing the sensitivity of the calcium-sensing receptor to extracellular calcium. When calcium binds these receptors on the parathyroid gland PTH release is inhibited. Additionally, cinacalcet leads to lower levels of serum calcium and phosphorous as opposed to intravenous vitamin D which tends to raise these values. 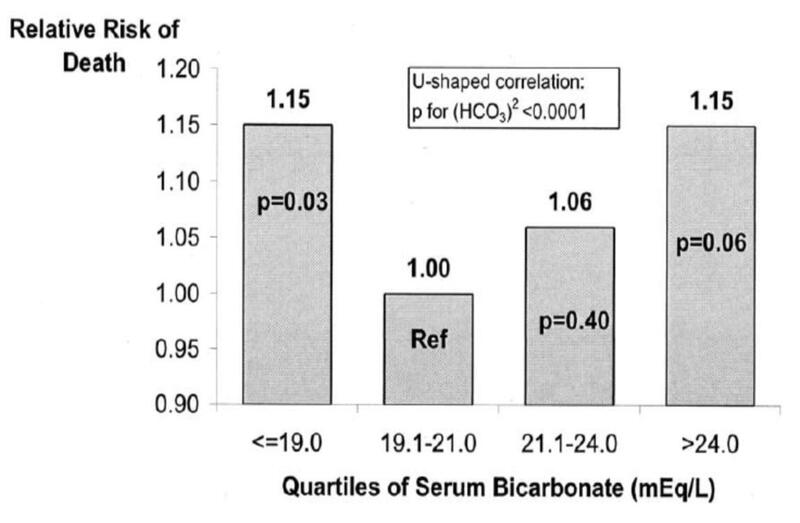 Given cinacalcet moves all the serum values in what would seem be helpful directions a recent observational paper in KI took a look at its impact on mortality. To do this Block and colleagues looked at 5976 ESRD hemodialysis patients from DaVita who had received cinacalcet and compared them with 19,174 who did not. Outcomes were then checked in USRDS. All patients had secondary hyperparathyroidism as defined by the use of IV vitamin D at baseline. A multivariate adjusted analysis showed a 26% reduction in all cause mortality in patients who took cinacalcet compared with those who did not. Cardiovascular mortality was also reduced significantly but interestingly only accounted for 44% and 46% of deaths in the cinacalcet and non-cinacalcet groups respectively. Patients in the cinacalcet group at baseline tended to be younger, have less diabetes, fewer days of hospitalization and higher BMIs and albumin. It should also be noted that the study was partially funded by Amgen (the maker of the Sensipar) and that the first author is both a consultant and advisor for them. Given the above this paper will not change my current practice. Hopefully these results will be supported by the upcoming multicenter randomized placebo controlled EVOLVE trial which is examining the impact of cinacalcet on a primary composite outcome of all cause mortality or non fatal cardiovascular event. Renal failure occurring in the setting of acute decompensated heart failure (ADHF) is traditionally believed to be due to renal hypoperfusion from poor “forward flow”. This mechanism has intuitive appeal, and appears to be borne out by our clinical experience of improvement in urine output following the introduction of inotrope support in such cases. However, objective testing using pulmonary artery catheterization does not support the “forward-flow” model: degree of renal dysfunction does not correlate with cardiac index, and improvement in cardiac index isn’t associated with improvement in renal function either. This has been observed in many trails, but most notably in the recent ESCAPE trial. So, what then is the explanation? In the ESCAPE trial, the only measure that was associated with serum creatinine was right atrial pressure, suggesting that renal congestion is more important than previously believed. Studies in dogs show that the kidney stops producing urine at venous pressures of 20-25 mmHg. 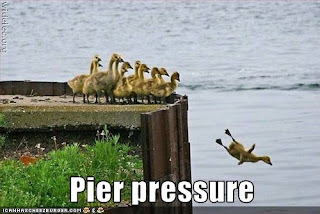 Extrinsic pressure of the kidney to similar levels also causes significant renal dysfunction via increases in venous pressure in modern animal models, as well being frequently observed clinically in cases of the abdominal compartment syndrome. Reduction of elevated IAP, irrespective of the mechanism (intensive medical therapy, paracentesis, or ultrafiltration) improved renal function in a study of volume-overloaded patients admitted with ADHF. Changes in IAP correlate better with changes in renal function than any other hemodynamic variable. Reduction in central venous pressure is a far more satisfying explanation for improvement in renal function with diuresis than any putative movement onto a more favorable portion of the Frank-Starling curve, as Nate previously observed. 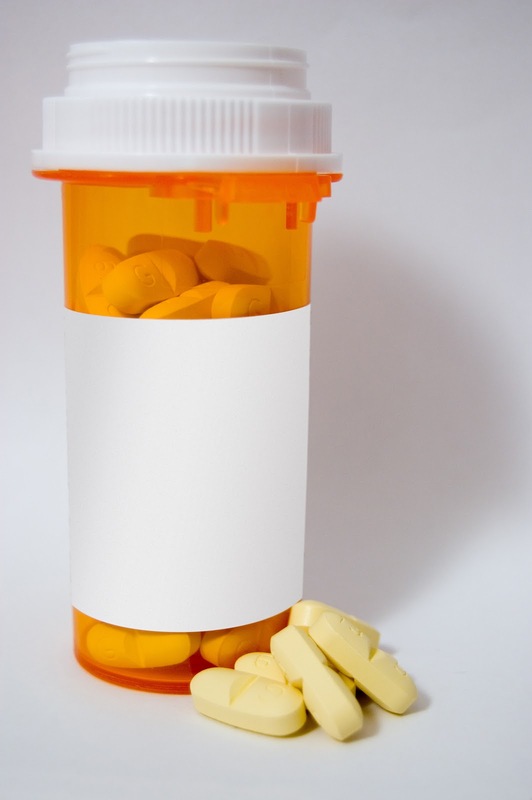 A new drug for bone loss in renal patients? At a recent meeting on bone biology, several talks were devoted to a new class of drugs targeting osteoporosis. Since these drugs are antibodies and thus not cleared by the kidney, I paid close attention, as they have the potential to be useful in patients with renal failure, where we generally shun bisphosphonates. But first, lets talk about bone remodeling (see also this tutorial). Bone constantly remodels through a delicate interplay between two types of cells on the bone surface: the bone-producing osteoblasts, and the bone-resorbing osteoclasts (One source suggests that approximately 10% of the adult skeleton turns over every year). Osteoclasts are activated in part by a signal made by osteoblasts called RANKL (receptor activator of NFkB ligand), which binds to its receptor on osteoclasts. Once activated, osteoclasts start resorbing bone by acidifying the section of bone immediately underneath them (called a resorptive pit) to help digest and release the protein matrix (mostly collagen) and free up calcium and phosphate. Denosumab, sold under the tradename Prolia by Amgen (FDA approved June 2010), is a monoclonal antibody against RANKL. It thus prevents activation of osteoclasts and the initiation of resorption. Denosumab is given every six month subcutaneously. In a randomized trial (The Freedom trial), which enrolled over 7800 women between the ages of 60 and 90 with a T score on their dexa scan between -2.5 and -4.0, denosumab prevented the radiological evidence of vertebral fractures (primary endpoint), as well as reduced the risk of hip fractures and non-vertebral fractures, increased bone mineral density at the lumbar spine and hip, and did so with minimal adverse effects. No patients with ESRD were included, though a stratification of patients based on renal function reveals 74 patients with CrCl 15-29 (avg Cr 1.5+/-0.3), 2817 patients with CrCl of 30-59 (avg Cr 0.9) and 4059 with CrCl 60-89 (avg Cr 0.8). Comparing the patients with severe renal impairement to those with mild, the first set of women were older (80 vs 71 yo), thinner (avg weight 53 vs 66 kg) and had worse femoral neck and hip BMD T scores (-2.8 vs -2.1 and -2.8 vs -1.8). Despite this perhaps less healthy population, the primary endpoint, radiological vertebral fractures, was reduced in this sub-group as well, with an incidence of 9.1% in the placebo group vs 3.2% in the active drug. One major issue with this drug in this sub-group, was the increased incidence of serious infections: 11 in the denosumab group (31 pts received the drug, so the rate was ~30%) vs 4 in the placebo group (33 patients received placebo, for a rate of 12%). It appears that the infections are mostly cellulitis. While this difference was not statistically significant, it would give me pause. Given that the population in this trial was probably “healthier” (Calcium had to be normal for study entry; PTH was not checked), I think more data is needed before we can consider denosumab safe in patients with renal dysfunction.